Back in the day, I ocasionally traveled on business from Tennessee to Portland, Maine. Whenever I visited the area my co-workers requested a bakery box full of authentic Whoopie Pies for them to share. This was life before 911 and flying was much easier. They were enormous chocolate cream filled delights and it made me very happy to deliver them fresh – door to door. The one thing I’ve never understood about Whoopie Pies, is the name. They’re soft like cake, and sandwiched together like a cookie, and they are not at all like a pie. 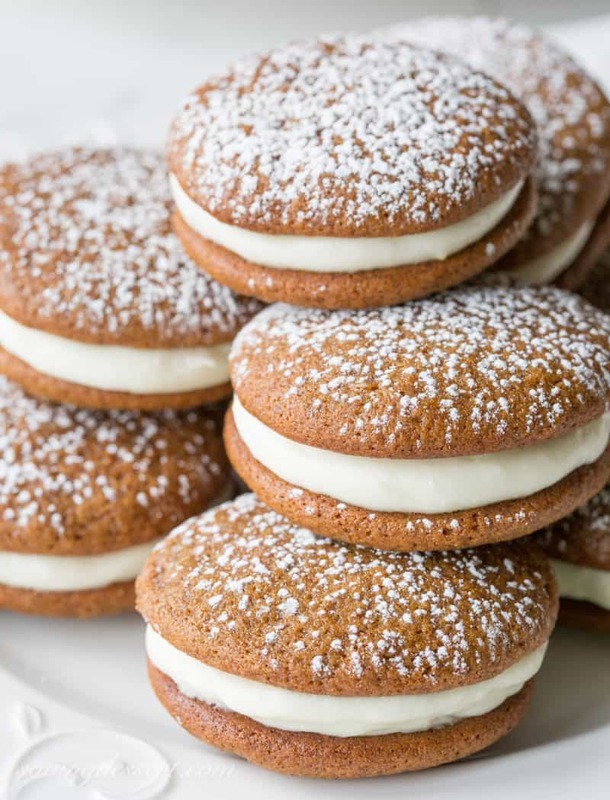 These treats have several names typical to different regions around the country, but I’ll always associate them with my visits to Portland, Maine, home of the world’s largest Whoopie Pie weighing in at 1,062 pounds. That’s a lot of Whoopie! As much as I love chocolate, I’ve been craving gingerbread and well, it’s the holidays. 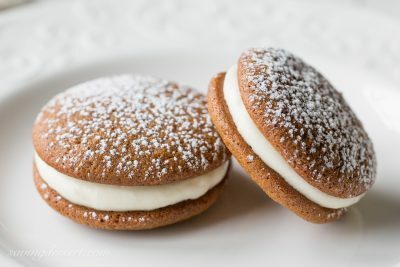 I needed a bite of gingerbread and a sip of spiked egg nog so I was off to the kitchen to bake these super easy, soft, spicy and delightful Gingerbread Whoopie Pies with Lemon Cream Cheese Filling. These are the perfect size, just about three good bites. A bit of tangy lemon zest in the filling really brightens the warm spices and molasses. Uncomplicated to make and super easy to eat – they are the perfect holiday treat! Don’t forget to PIN to your favorite baking board! 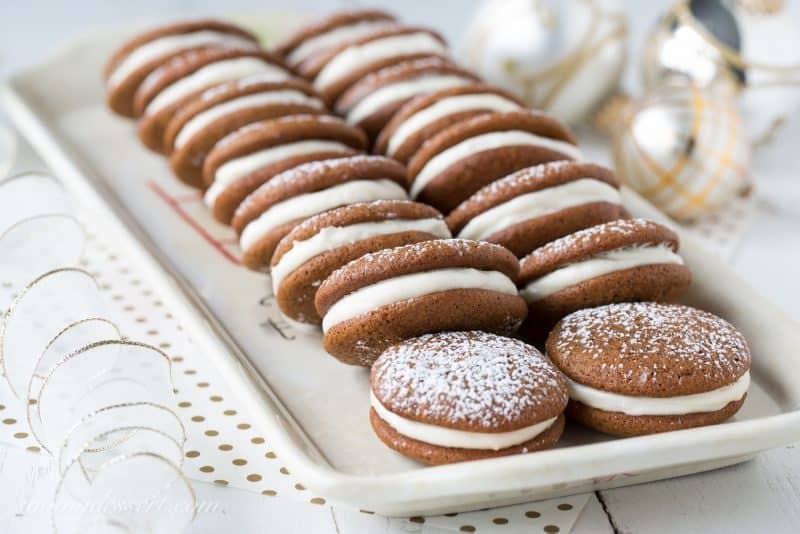 Soft gingerbread cookies with a lemony cream cheese filling - a wonderful holiday treat! In a medium mixing bowl, whisk together the flour, spices, baking soda, and salt. In a separate large bowl, combine the brown sugar, melted butter, molasses and crystallized ginger. Whisk until combined. Add the egg and buttermilk and continue to whisk until blended. Add the flour mixture and fold together using a rubber spatula. Do not over mix. Cover the bowl with plastic wrap and refrigerate for 1 hour or overnight. Preheat oven to 350 degrees. Line a baking sheet with parchment paper or a silpat mat. Using a 1 tablespoon cookie scoop, roll the dough into a ball and place 2 inches apart on the cold baking sheet. Bake until the cookies are puffy, about 11-12 minutes. Let the cookies cool in the baking sheet for 5 minutes before transferring to a wire rack to cool. Repeat with the remaining dough using a cold baking sheet each time. To prepare the filling, beat together the 6 tablespoons butter with 1 cup of powdered sugar. Once smooth and blended, add the remaining 1 cup of confectioners' sugar and mix until incorporated. With the mixer running on medium, add the cream cheese one piece at a time then add the vanilla and lemon zest. Pipe onto half the cookies and top with a matching size cookie, bottom side down. Refrigerate leftover cookies in an airtight container. I’m off to put more decorations on the tree! Happy Holidays and thanks so much for stopping by! do you think you could cut the dough with cookie cutters for the pies and they would turn out? Hi Jenna. No I don’t think you can use a cookie cutter for these. Hope you give these a try – so good! 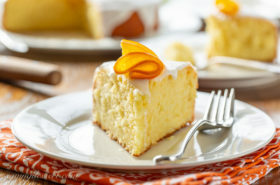 Does the lemon zest give enough lemon flavor to the filling? Can you add some lemon extract? 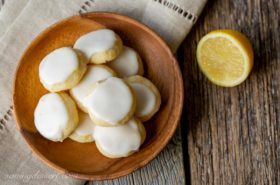 The lemon zest just brightens the filling – I would not add lemon extract as it is not meant to overpower the gingerbread, in my opinion 🙂 I think you’ll find the hint of lemon is just enough. Good luck and hope you enjoy! I made these and they turned out great! 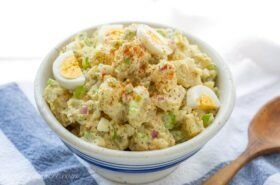 The recipe is amazing and the flavor is amazing! 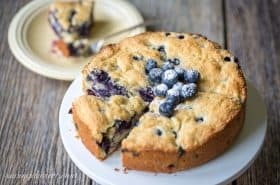 How far in advance can you make the whopping pie I know I cannot make the cream in advance. I do a lot of baking during the holiday so what I can make in advance is helpful. Hi Mary Jean. I’m sorry but I have not tested freezing these cookies (unfilled.) I also haven’t tested how long the cake portion would stay good unfilled in the refrigerator. These cookies stay great for 4-5 days in the refrigerator so if that works for your timetable, that’s what I would do. 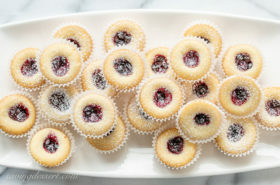 If you want to try and freeze the unfilled cakes, I would flash freeze first by layering them on a parchment or waxed paper lined cookie sheet. Once frozen, they could be stacked between waxed or parchment paper and stored in an airtight container for maybe a month. Hope that helps, sorry I didn’t have the perfect answer! Fudge, toffee and brittles store so much better don’t they! They look amazing, and I have to confess I’ve never had a whoopie pie but now I’ll just have to try them out! The best bite to start the Christmas holidays! Gingerbread does it for me 🙂 Thanks Elena! Would you believe I’ve never made a Whoopie Pie! I guess it’s because I didn’t grow up with them and never even heard of them until 5-10 years ago. Not something you’d see in the Danish bakeries in the small, Wisconsin city where I grew up. I do need to put them on my culinary Bucket List though since the ideas are endless and I think I know two little boys who would love them 🙂 I love gingerbread and your gingerbread version, Tricia! I know you will enjoy making them Susan – chocolate is great but I sure did enjoy this gingerbread version! I love the name, “whoopie!” And always wondered how whoopie pies got their name. Anyway, gingerbread? Yes! Brilliant idea — terrific for the holidays. Thanks! Thank you John – Merry Christmas to you and your lovely Mrs. Riffs! What a delicious looking treat. I love chocolate but around the holidays I enjoy the taste of gingerbread. I love these, Tricia, they look so yummy and elegant. The lemon in the filling is the perfect touch. Thanks Amalia – hope your holidays are wonderful! Thank you Jenny. Happy holidays! Hi Tricia, these are beautiful and I bet addicting. Love your pics they are amazing. Happy Holidays! Thank you so much Cheri! Everybody has been very complimentary of these treats – so yummy! 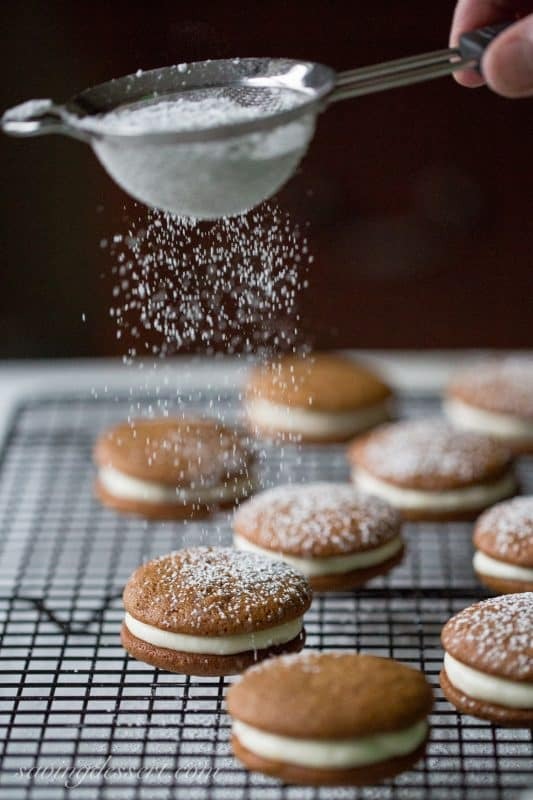 Absolutely beautiful – the treats and the photos 🙂 I have never make whoopie pies, but I love the idea of gingerbread ones. So festive! Pinned!! Thank you Jennifer – you would like these I think – the gingerbread flavor is strong with the lemon giving a little bright bite! What gorgeous photos, Tricia! I was also thinking about whoopi pie the other day…along the lines of peppermint chocolate. Now, gingerbread and lemon is a wonderful surprise and it sounds so good. They look so beautiful on your platter and I can almost feel that soft texture in each bite. Such a special treat! Aww thanks Monica – can’t wait to see your Whoopie pies 🙂 Peppermint sounds wonderful! They look scrumptious! 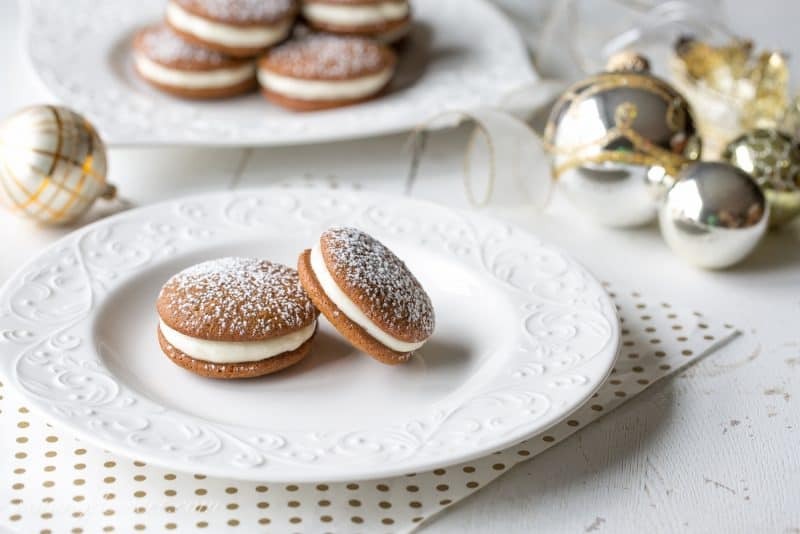 I love gingerbread flavour and these whoopie pies would be a great addition to the cookie tray. Thanks for sharing, Tricia. We had whoopie pies in Pennsylvania. Zoe buys them at Reading Terminal. I however am sure that she would never find these there. Knock my socks off Tricia! These are gorgeous! I discovered the combination of lemon and ginger in England, and it’s been a favorite ever since. These look so pillowy and wonderful, and Portland Maine rocks!! I love it too Sue – I wish I could discover something in England 🙂 Have a great week! These are just GORGEOUS, I love gingerbread and bet these taste fantastic! Oh Tricia, these are beautiful and they look crazy delicious. I love the flavor of gingerbread and find it’s so fun to incorporate into things other than gingerbread men. Love, love, love your falling powdered sugar. So pretty!!! Thank you Chris – I love the flavor too – and I was really craving gingerbread this year.